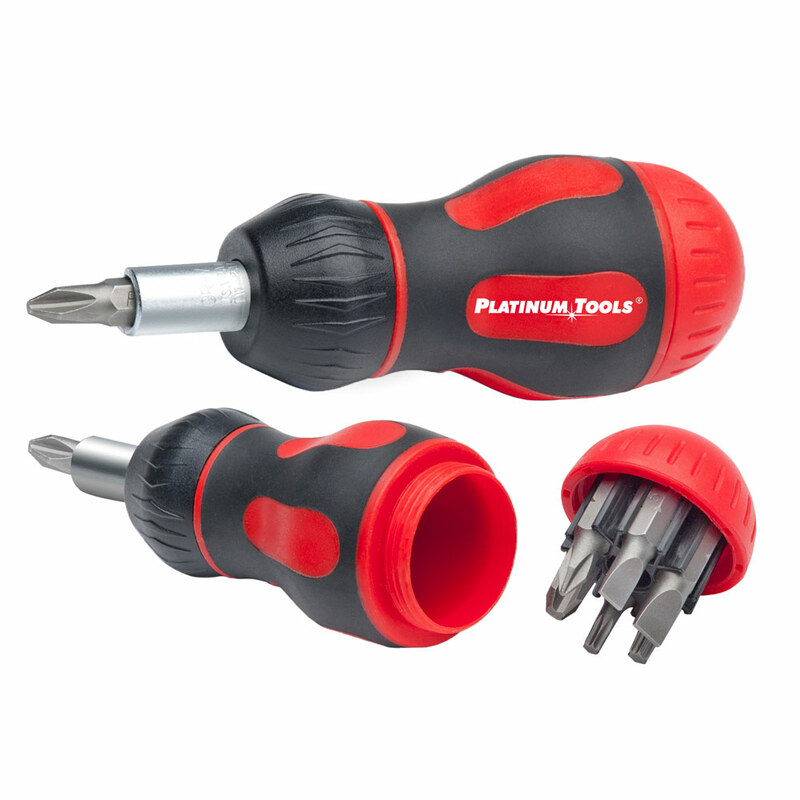 Platinum Tools 8-in-1 Ratcheted Stubby Screwdriver is the perfect tool for those cramped spaces. Features a 6 piece bit storage unit conveniently built directly into the handle, simply unscrew the top cap and swap bits out as needed. Also features a full ratcheting mechanism and a non-slip rubberized grip for quick tightening and loosening of screws with minimal effort.